Format a USB stick using FAT32. 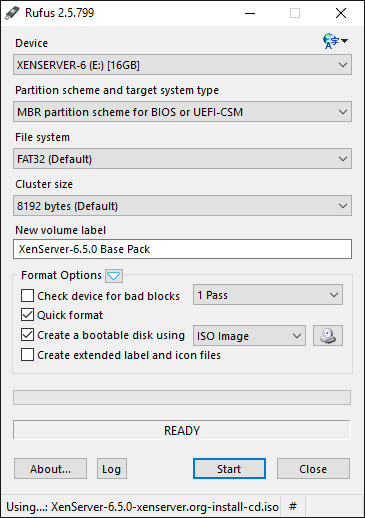 Use unetbootin to install the ISO to the USB stick. Use the “DiskImage” option instead of the “Distribution” one, and point it right to the ISO file. Unmount the USB drive and eject it. I confirm that this strategy also works with XenServer version 6.5.0. Drive boots and installer works as expected. No need to monkey with SYSLINUX. With Rufus it worked. 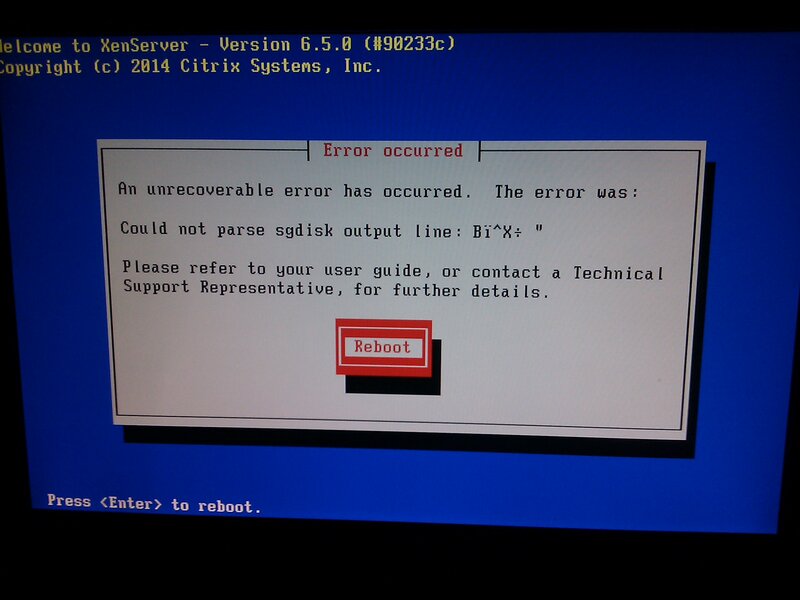 But with the other approach it didn't even get to the bootloader. And I also confirm that this strategy works with XenServer version 7.0.0. Etcher (https://etcher.io) Is great and did the trick for me with a troublesome server. With YUMI 2.0.4.6, unlisted ISO (GRUP Partition 4) works. already reinstalling server using rufus v2.18.1213 in my KVM windows 7 machine. the others alternatives does not work in my case. @VinceVal, thanks for your help. The Rufus solution has been worked for me!! !